In this episode, you will learn about how destination can increase attracting international travelers. Nicole Mahoney started Break the Ice Media in 2009 in response to the evolving needs of small to medium-sized businesses, in particular, the rise of social media. Break the Ice Media is a boutique marketing and communications firm with a focus on travel, tourism, food, wine, and hospitality. As CEO, Nicole is responsible for working with clients to understand their marketing needs, develop strategic marketing plans and execute those plans. She is also responsible for building a team that can deliver. 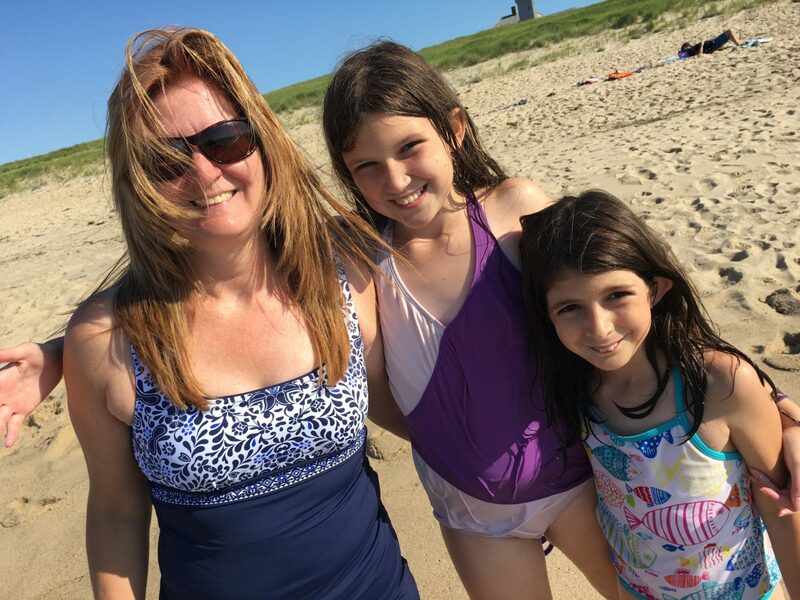 Earlier this month, my family and I took a multi-generational family vacation to Cape Cod. We stayed in a vacation home in Falmouth, MA that my father rented through Homeaway.com. We traveled with my father and his girlfriend, my sister and her two children, my husband and I with our four children and one boyfriend who came along with us. Whenever I go on vacation, I can’t help but look for ideas and lessons to share with our destination marketing clients. While in Cape Cod, we took day trips to Hyannis, Provincetown, and Boston. 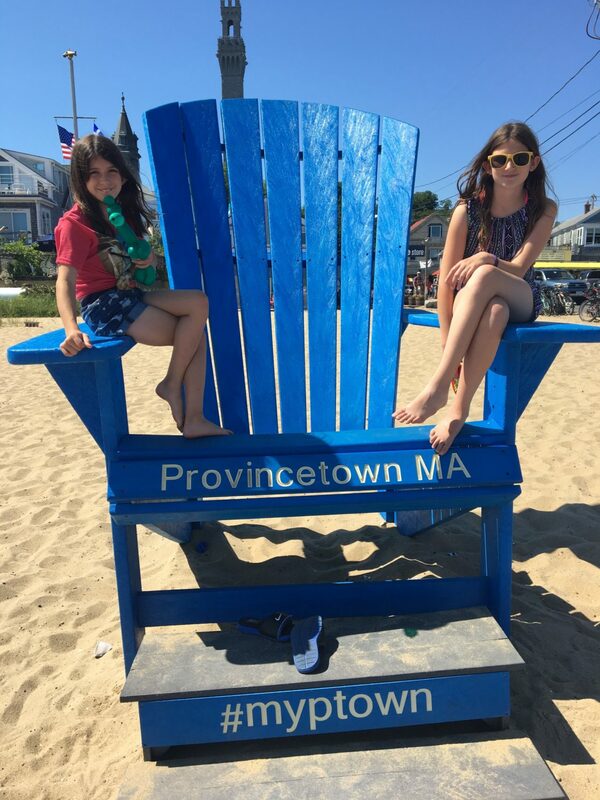 We enjoyed the beach, a fishing charter, a fast-paced boat ride in the Boston Harbour called Codzilla, dining and shopping in P-town, and touring local sites and attractions. During all of these experiences, I couldn’t help but notice the diversity of travelers that were around us. On our Codzilla boat ride, the host asked who was from the farthest away – people raised hands claiming to be from Ireland, England, Germany, and Australia. While walking around P-town, I couldn’t help but notice families from China, folks speaking in German and other international accents. While sitting on the deck of our house rental, I overheard couples walking by speaking in German, and there were also some with English accents. 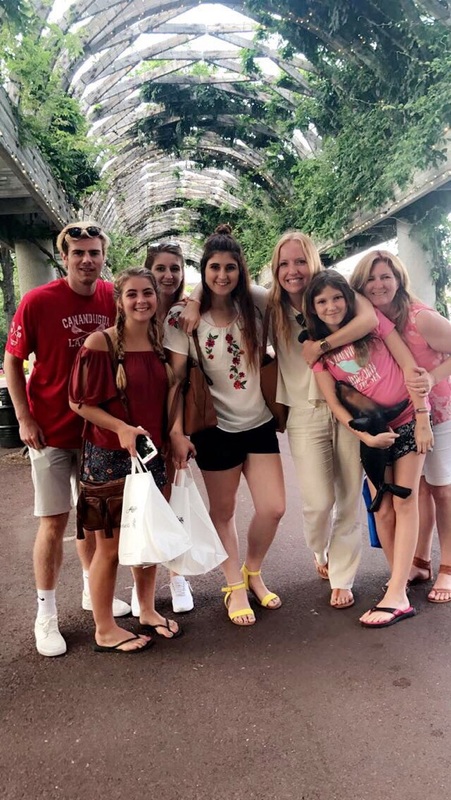 All of the observations got me thinking about what Cape Cod offers the international traveler, and what I have learned about the interests of international travelers to the US, and what New York State has to offer to an international visitor. As I thought about this, it occurred to me that New York State and my clients have many of the same attributes as Cape Cod and then some. 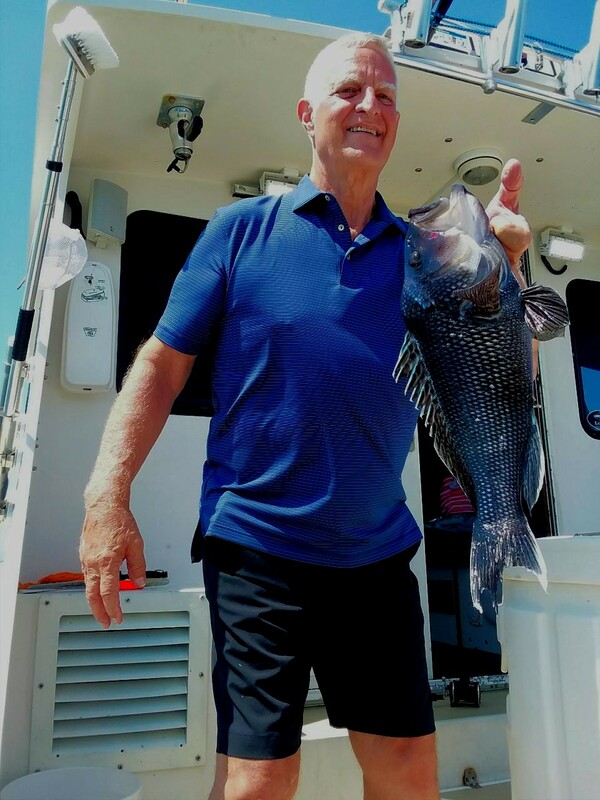 In many cases, what we have to offer could be considered superior because we do not have the traffic or the salt water, and we have more craft beverage experiences. Cape Cod has only a handful of wineries and craft beer producers. This brings me to another point that I have been thinking about and working to find a solution. With New York City located in the southern part of New York State and Niagara Falls in the western part of the State – why doesn’t Upstate NY see more international visitors? Our state tourism office has been actively pursuing key international markets that have the highest potential for showing lift in Upstate NY – which is basically everywhere in New York outside of New York City. 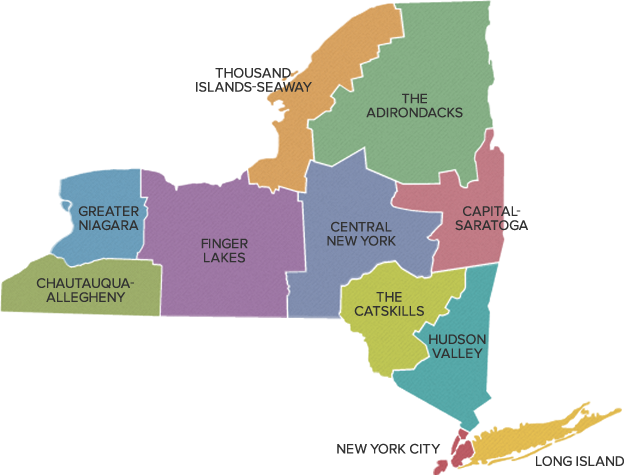 It includes Long Island and everything north and west up to Albany, the Adirondacks, Hudson Valley, west of the Finger Lakes, all the way to Buffalo, Niagara Falls and then some. With the work that I Love NY has done over the past four years, we are seeing an increase in awareness and interest in traveling to areas beyond the gateway of New York City. The goal is to get them to spend more time in New York State instead of flying off to Philadelphia, DC, LA or another US destination. The key international markets that align with New York State product are Canada, UK, Germany, China and Australia. All of these markets currently have strong numbers of arrivals into the State with the overseas arrivals mostly entering from New York City although some come through Toronto as well. With all of the work that has been done to increase awareness and demand, why haven’t we seen a large uptick in international visitors throughout the rest of the State? I believe it is a supply chain issue. International travelers – especially those from overseas – buy travel differently. They buy through a retail outlet such as a travel agent, tour operator or an OTA (online travel agent). In order to buy travel through one of these sources, there needs to be “product on the shelf” – in other words, it has to be in the inventory of what these retail outlets have to sell. That means that tourism suppliers – the businesses that sell experiences, attractions and accommodations – need to have a relationship with these resellers. They need to sell their rooms, admission fees, packages at a wholesale price to the retailer so that the retailer can markup that package, room or admission fee and make a margin or a profit. In turn, the tourism supplier will be marketed to the potential customers of that retail agent. Again, just to clarify, this is using the visitors who are already going into New York City. We know where they’re arriving from United Kingdom, Canada, Brazil and so on. We know how many visitors from each of those countries are entering into New York City and visiting New York City. And we also know which markets align best with upstate New York product as have been identified through our state tourism office, which are U.K., China, Australia, and Germany. So when we add up all of these numbers it comes out to 3,374,000 possible visitors that we might be able to draw into upstate. So let’s think about this even further. If we can inspire just ten percent of those visitors to leave New York City and explore more of New York state that would move an additional 337,400 people through upstate New York destinations. Now, depending on the travel party size, the length of stay, and the country of origin, the average spending per person can vary greatly. To make this an illustrative point let’s assume that each person will spend an average of $1250 on their travels into upstate New York. Meaning, let’s just assume that when they leave New York City they are going to spend an additional $1250 per person traveling throughout upstate. So if we can inspire travel for 337,400 people to other destinations in New York state that our outside of New York City, and each of those visitors spends on average $1250, that will equal $421 million in new revenue for upstate communities. This does not include employment income, state or local taxes, or indirect spending. That is nearly a half a billion in new revenues for tourism suppliers in our state. If I owned one of those businesses or attractions that rely on visitors to make my annual revenue goals, this would make me sit up and pay attention. So back to my question, why aren’t we getting more of the international travelers spending in upstate New York? And back to my earlier conclusion, we have a supply chain problem. Remember earlier when I explained that this is a B2B relationship? There are specific ways to set yourself up for success and to build those relationships. My colleague Jennifer Ackerson from ALON Marketing – who was a guest on episode 5 – and I have developed a methodology and a path forward to help address the supply chain problem. We like to call it the Travel Product clearing house concept. Why a clearing house? Well, let’s start with a definition. The Merriam-Webster definition of clearing house is “A central agency for the collection, classification, and distribution of information.” Broadly, it’s an informal channel for distributing information or assistance. The idea is that once a supplier follows the steps of the clearing house, they will have shelf ready travel product that resellers in international markets can readily access and add to their inventory of travel offerings. The process that we have developed for the travel product clearing house includes six steps. Let’s dive in and talk about each step to help define what is needed to complete the international tourism sales cycle. I also want to clarify that these steps are specifically designed to work at the destination level while addressing the needs of the individual suppliers. The first step is tourism education. You need to start with a tourism educational seminar. So many destinations that we talk to in upstate New York want to leapfrog this step. They want to skip this step; they feel like they’ve had enough education and they just really need to get to work. The thing is if you skip this step then you’re not all starting with the same level of understanding of what our goals are, what the needs are of the markets that we’re targeting, and how specifically to work with that distribution channel and that tourism cycle. So basically in our tourism educational seminar, we would introduce the basics that are essential to know and implement in order to get international tourism through the travel trade. I haven’t defined travel trade in this conversation. Travel trade really encompasses all of those B2B buyers that you would be targeting in order to get your travel product on their shelf. So for sake of this conversation, travel trade are all those B2B buyers that we want to target. And those B2B buyers have their own customers or consumers, they sell to the consumer. In the tourism educational seminar, we’re going to start with the basics. Then we’re also going to provide an overview of the tourism sales cycle, and how the distribution works. In many cases, there are a few different layers in the tourism distribution channel. There are a few different layers before you actually get to the consumer, and you need to understand where you’re working, who you’re working with, and what their needs and requirements are. The second step takes these seminars a little bit further by introducing a hands-on workshop or one-on-one coaching for tourism suppliers. These supplier readiness workshops provide hands-on activities that assist suppliers with specific business needs and the development of travel trade specific marketing and sales resources. Essentially, one-on-one coaching with those suppliers, holding their hand through the steps of how they can then become ready to sell to the travel trade. It would include looking at what they have to offer, assisting them in thinking about how they might package, getting them to understand pricing structures and helping them set those prices, and developing collateral materials that go along with it. The third step is package and product development. This provides a step by step guidance for tourism suppliers and destinations to develop packages structured for the travel trade. Basically, in this step you’re looking at providing a package that might include accommodations, attractions, dining, VIP experiences, a whole variety of things, things that you can package up and that are easy to understand and easy for the travel trade to purchase and then sell to the end consumer. The other thing that happens here when you’re developing packages is also developing itineraries, connecting the dots, helping the visitor understand how they can move from one place to the other within the destination. And that could mean in the example of New York state, moving across the state say from New York City to Niagara Falls, and where they might stop along the way. Or it could mean where they stay in one location and perhaps hub and spoke around that location going out on day trips and experiencing everything there is to experience. The fourth step is destination profile development. This is an impactful toolkit that will assist travel trade buyers with resources they need to learn how to sell a destination including tourism ready suppliers, package and itinerary details, photos and videos, et cetera. Basically, an entire kit that can be provided to the travel trade to give them an understanding of what your destination offers, who they can work within your destination, where the accommodations are ready to work with them, what accommodations might already be under contract, and all of the photo assets and video assets that they might need to help them promote your destination. The fifth step is bringing the packages to market. So, once we’ve accomplished steps one through four we’re ready to go to market. This includes promoting in the target markets that are identified, as well as getting travel trade to experience the destination first-hand by attending familiarization tours. Familiarization tours are a great way to connect tourism ready destinations and suppliers with the travel trade. They’re also a good way to test the waters and get research and feedback from those suppliers that you’re wanting to purchase your product. You have to be careful with FAM tours, though. Planning is critical, and it’s very important to get it right the first time. As everyone says, first impressions mean a lot. Also in this step is where you would begin to go to travel shows and on sales missions, meeting with buyers and talking about the products that you have available. The step includes also working with existing resources such as state tourism offices or Brand USA programs. The sixth step is where the business happens. This is where the sales, the follow up, and the tracking happens. At this stage, you have done all of your homework, you have your collateral materials, you begin your outreach, and you’re actually engaging with a tour operator or a travel agent or a receptive operator who wants to sell your product. In this case, what you are doing is working on contracts between the suppliers and the buyers. You need to have those contracts in place because when the buyers are out selling on your behalf to the consumer, they need to have confidence that you’re going to have the product available on the dates that they’re selling to the consumer. Also at this stage is where you will have ongoing follow up with your travel trade contacts, always trying to give them new information, trying to support them in their sales efforts, asking them what they need from you to assist, and also developing some next steps. This is also where you would start to track what products are on the shelf and what has been sold, and where things might need some refinement. One of the things that really gets me excited about working with the travel trade and assisting destinations and businesses in this market are the results, and our ability to track the results because this is a B2B relationship so it’s easier to track how those sales go through the sales funnel and all the way to the consumer. A few final thoughts on international marketing. The sales cycle for these markets is longer than a domestic sales cycle. Building your product, developing relationships and getting product on the shelf can take up to three years. However, if you invest your time, follow the steps, and are consistent in your marketing, the business will come and the economic impact will be tremendous. So back to my vacation in Cape Cod. With all of those international travelers enjoying the small towns and villages in New England, there is opportunity for New York State to attract those international visitors. We have the most visited destination in the country right here in our state in New York City. Our experiences can outshine those of other destinations. We just need to get our product on the shelf. I’ll be back next week with another great guest!